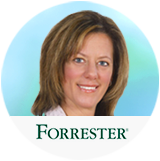 We believe that a look at the top ten customer service trends released by Forrester Research early in 2015 make one thing clear: customers expect businesses to innovate their way into the future, and to adopt and embrace the smart technology available today. 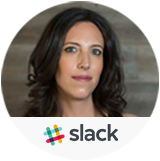 Kate is joined by Ali Rayl, Director of Customer Experience at Slack. As a Zendesk customer for more than 3 years, and with a strong product, customer-centric philosophy, and tight integration with Zendesk, Slack as an innovative company that demonstrates each of these three trends.